Circa 1889. Built by William Vanderbilt, this pleasurable Queen Anne with Victorian details, antiques and original artwork has been a welcoming inn for fifty years. An atmosphere of warmth and relaxed comfort is found in the three buildings that grace six acres of lawns, shade trees and colorful gardens. 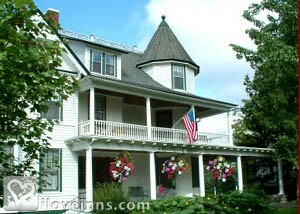 After a restful night's sleep, don't miss a satisfying hot breakfast before heading out for Hudson Valley sightseeing. 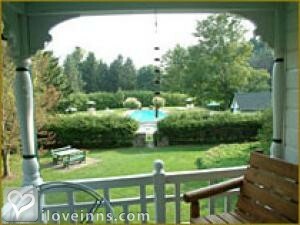 Hike, bike, relax on the porch or by the fifty-foot outdoor pool.Publicity and Awards: Victorian Homes, New York Magazine, Yankee, Sophisticated Traveler, Hudson Valley, USA Today, American Artist, Country Living, Country, Great Country Inns, The Learning Channel.Location: Country and Small village. Payment types accepted include Visa, Discover, Personal Checks and Master Card. Rooms: This property has 16 total guest accommodations, 15 with private bath, 2 with fireplaces, 2 with whirlpools, 1 two-bedroom suite, 1 cottage and 2 conference rooms. 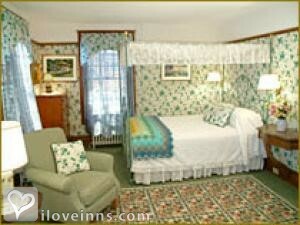 Minimum Stay Requirements: One-night reservations welcomed at most times. Cancellation: A deposit equal to one night's lodging is required to confirm a reservation. Deposits will be refunded, minus a $7.00 cancellation fee, if cancellation is received 14 days prior to the reserved date. If there is a need to cancel less than 14 days prior to the reserved date, deposit (minus the $7.00 fee) can only be refunded if the room is able to be re-booked. Pets: Innkeepers pets on premises, Pets Allowed, $50 pet fee, not allowed in common rooms and limited number of pet friendly rooms. Meals Included in Rates: Breakfast and Afternoon Tea. Types of meals: Full Breakfast, Vegetarian Breakfast, Wine, Early Coffee/Tea, Dinner, Afternoon Tea, Dinner available most nights March through December. Wine and beer menu with over 100 items. Amenities In Room: Hair Dryer, Clock Radio, Bath Amenities, Air Conditioning, Reading Lamps, Refrigerator, Wireless Internet Access, some have fireplaces and whirlpools or private porches. Amenities On Site: VCR, Television, Swimming, Phone, Parlor Games, Library, Gift Shop, Fireplace, Fax, DVD, Copy Machine, Chocolate shop (Life By Chocolate), Gift shop, Outdoor pool and Wireless Internet access in Main Inn. Business Traveler Amenities: Flexible Check in/out Times, Hair Dryer, Iron/Ironing Board and Wireless Internet Access. Events Hosted: Meetings, Romantic Getaways, Family Reunions, Seminars, Hudson River Art Workshops for Painters and Art Quilters. Other Activities: Museums, Horseback Riding, Hiking, Golf, Fishing, Bicycling, Art Galleries, Antiquing, Parks, Shopping (Local Crafts), Skiing Downhill and Wineries. Freehold House, Ruby's Hotel, Palmer House, Mountain View Brasserie, DABA, Ca'Mea, Swoon. 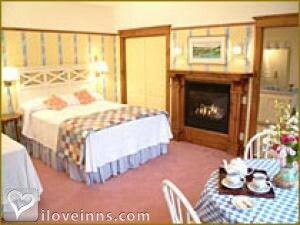 Beautiful country setting and cozy romantic rooms. On-site chocolate shop for sweetening your sweetie!